The Emacsmirror is a growing collection of Emacs Lisp packages. All mirrored packages are available as Git repositories. In most cases this is done by mirroring the upstream Git repository, but if upstream uses something else, then the mirror nevertheless makes the package available as a Git repository. 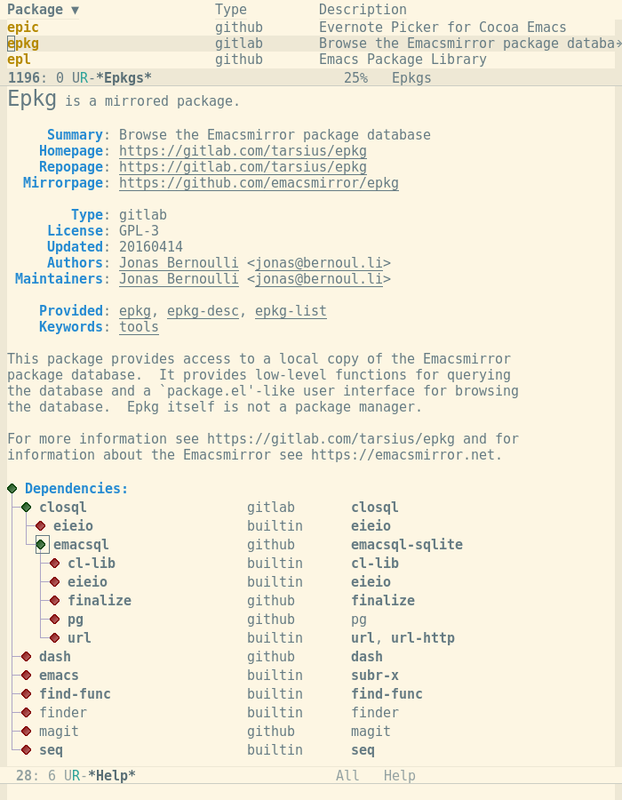 One primary purpose of the Emacsmirror is to provide a comprehensive list of available Emacs packages, including packages that have gone out of fashion (but might later prove to be useful still). Older efforts attempting to provide a comprehensive list of available packages, such as the Emacs Lisp List, over time collected an impressive list of dead links to packages that were no longer available anywhere. If other mirrored packages still depend on a package whose upstream has disappeared or no longer maintains the package, then it is copied to the Emacsorphanage. The Emacsmirror then mirrors that repository from the orphanage. The orphanage repository serves as a temporary home until someone volunteers to take over as maintainer. While a package is in the orphanage, the maintainer of the Emacsmirror makes an effort to merge pull requests from users. Note that in the past I have sometimes removed packages completely, instead of moving them to the attic, but going forward that should only happen in exceptional cases. Please consider supporting my work on the Emacsmirror and related tools such as epkg.el and borg.el by making a donation. As mentioned above, you could use the Emacsmirror to obtain packages that are not available anywhere else anymore. Likewise you could get a package from the mirror in form of a Git repository, even if upstream doesn’t use Git, which would be useful e.g. if you prefer to install packages as Git submodules. 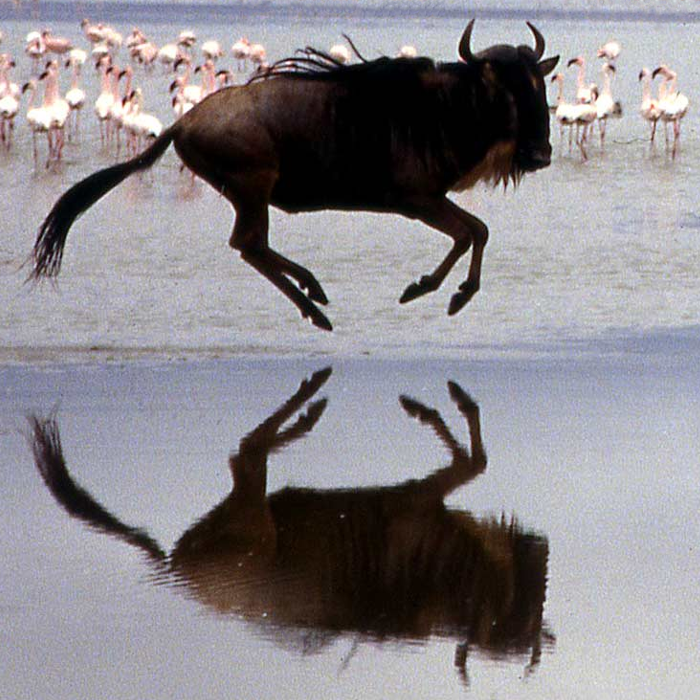 To make full use of the Emacsmirror, you should obtain a local copy, which you can do by cloning the epkgs repository. A SQLite database with information about all mirrored packages, as well as all shelved packages (those in the attic) and all built-in packages. The epkg.el package provides a user interface for browsing the Emacsmirror package database. It is very similar to the interface provided by package.el, but there is more information and some goodies. But Epkg isn’t a package manager. See this blog post for information about the related borg.el package manager. epkg.el can be installed from Melpa using M-x install-package RET epkg RET. Installation and usage instructions can be found in the manual. All mirrored and shelved packages are tracked as submodules of the epkgs repository. The Emacsmirror modules are located inside mirror/ and the Emacsattic modules are located inside attic/. If you only want to checkout the modules for the mirrored packages, then you could use git submodule init mirror/ instead. Run the git submodule subcommands init and update separately, do not use update --init. If the update step fails e.g. due to network issues, then it helps if the init step is already complete. If update fails to clone one module, then it unfortunately does not proceed with the remaining modules. If that happens, then first try to update just that one package using update mirror/<package>. If that fails again, then there probably is an issue on the Emacsmirror, and you should skip the package using deinit mirror/<package>. Then resume updating the remaining modules, but limit which modules are updated. For example if foobar failed, then use update mirror/[f-z]* to avoid wasting time on the modules named attic/* and mirror/[a-e]*. Once you have checked out the modules you can no longer use Magit in the super repository — even just git status takes twenty seconds. All packages that are available from Melpa are also available from the Emacsmirror. New packages are added to Melpa on a regular basis and after a short delay these packages are also semi-automatically added to the Emacsmirror. So there is no need to ask for new Melpa additions to be added to the Emacsmirror too. It will happen, but it might take a few days. To get a new package added to the mirror add it to Melpa instead. That way Melpa users benefit too. Some packages that are available from Melpa appear to be missing from the Emacsmirror. The reason for that is that Melpa sometimes creates several packages from a single repositoy, while for the Emacsmirror the smallest unit is the repository. See these lists and these pages for the various reasons. If, after consulting these resources, you still think that it makes sense to ask me to add a particular package, then please open an issue. The Emacsmirror isn’t an Elpa package archive. While it could be used to provide such an archive, I don’t think that there is a need for that because Melpa already serves that purpose very well. Here you can find a list of such packages. Many mirrored packages are actually missing from Melpa. Here you can find some lists of such packages, in case you would like to help making Melpa more complete. Page CC BY 3.0 by Jonas Bernoulli, image CC BY-NC-SA 2.0 by David Bygott.